Township officials and the administration continue to find new ways to maximize programs and services. 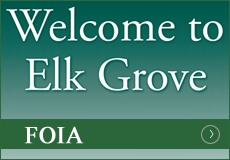 As part of an ongoing effort by Elk Grove Township to tighten its financial belt, the Township board recently made good on promised salary reductions for elected officials that equal to more than $30,000. The cost-cutting was pledged by Township Supervisor Mike Sweeney, who was elected in 2013, in conjunction with the hiring of Township Administrator Paul Pioch in the summer of 2015. “We needed to hire a professional administrator to handle the Township’s daily operations, and to meet the cost increase for that, I vowed to reduce my salary by approximately 30-percent, and that of the clerk’s by 25-percent to limit the budget impact,” Sweeney said. Additionally, Township Highway Commissioner Art Niewiardowski took gradual salary decreases each year since 2013, which totaled $15,000 in reductions. Total elected officials’ salaries have been reduced by approximately 40-percent since 2012 in Elk Grove Township. For the last three tax levies, both the Town Fund and General Assistance have remained the same under Sweeney’s leadership. Additionally, a number of new public-private partnerships have been established. Those partnerships have enabled new programs through Elk Grove Township to come to fruition. The Elk Grove Township Employment Support Center: Offered to Township residents, this center provides resources to help individuals find employment. 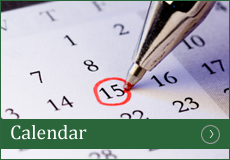 Seminars, coaching and other opportunities are available. 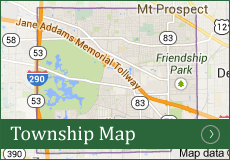 Area businesses are also invited to post their openings through the Township Employment Support Center at no charge. The Snow Angels Program: Elk Grove Township partnered for the first time in the winter of 2015 with CCSD 59 and several area churches, along with Parkway Bank and Penske Trucking Rental to create this program that garners donations of snow pants and snow boots for in-need CCSD 59 students. Back to School Blast Off: This program began in the fall of 2016 and consists of an outreach effort from the Township community to donate school supplies for in-need children. Nearly a dozen business and organizations were ‘drop off’ locations for the donated school supplies that benefit CCSD 59 children to start the school year off with needed supplies. Meijer Simply Give Program Partnership: In July of 2016, the Township Food Pantry partnered with Meijer for their ‘Simply Give’ program, where monetary donations can be made at the store checkout so that the food pantry can be replenished with needed items. Donations can still be made through the program, which runs through September 24, 2016. Sweeney added that due to the growing number of partnerships, the Township is able serve more individuals and families when they are in need. “We are always looking to develop new relationships and partnerships with businesses and organizations throughout Elk Grove Township, to best serve our residents,” Sweeney said. 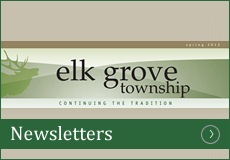 For more information on how to get involved with programs at Elk Grove Township, please call 847-437-0300 or visit www.elkgrovetownship.com. Join Elk Grove Township and donate snow pants and boots for in-need District 59 students. Now through December 15th.